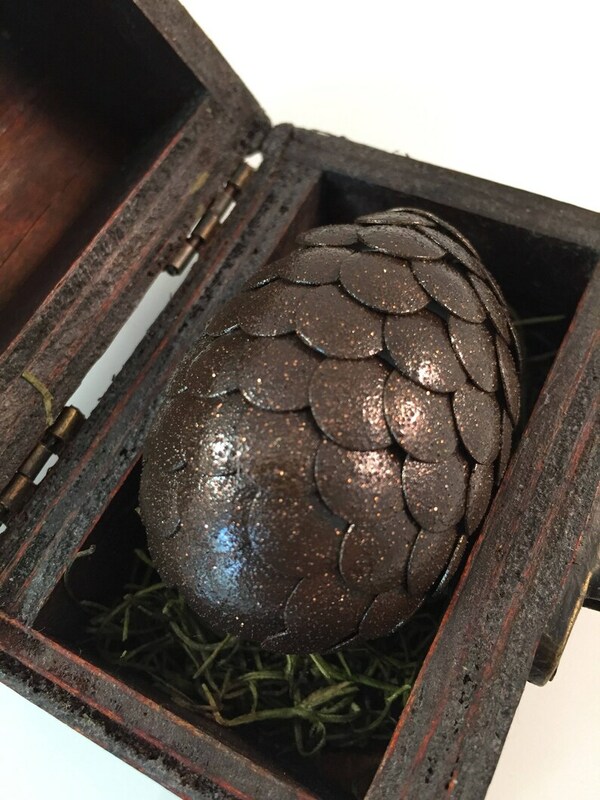 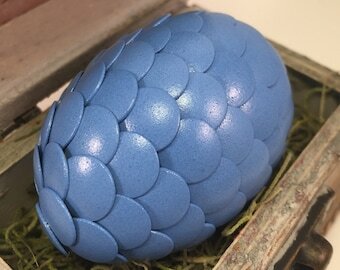 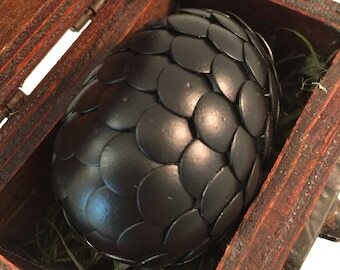 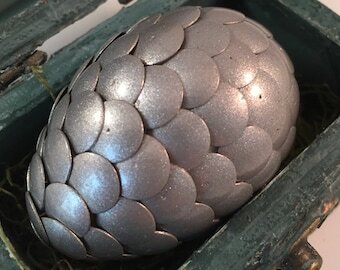 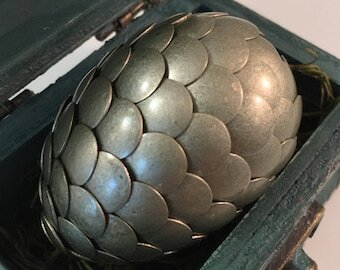 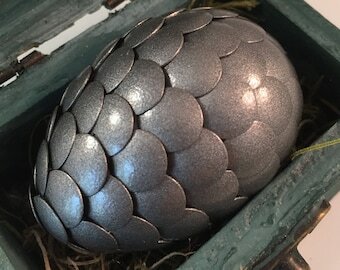 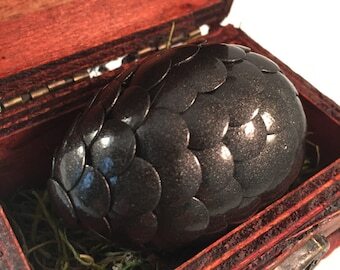 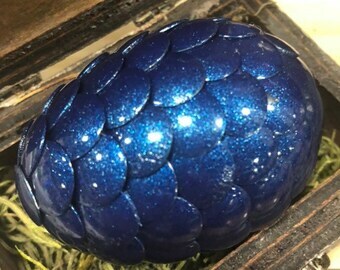 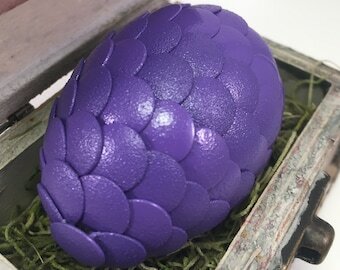 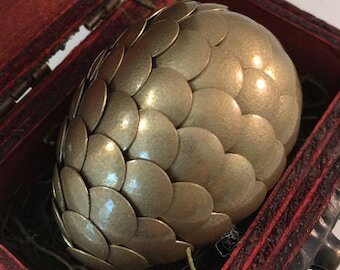 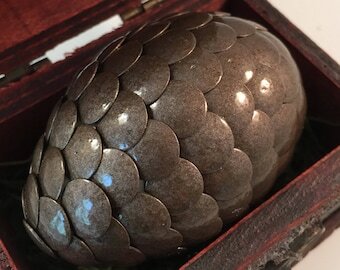 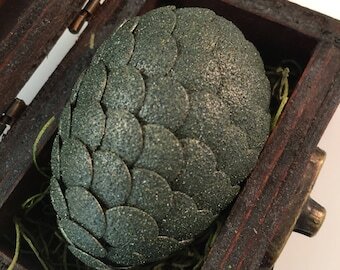 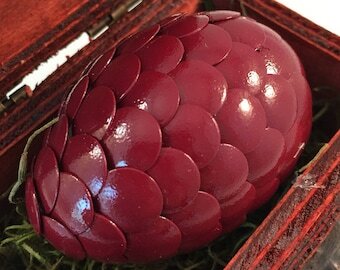 This listing is for one (1) BROWN with SPARKLES dragon egg with box/chest (as pictured). 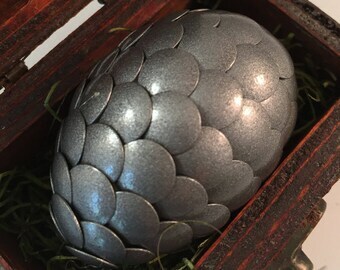 Egg measures ~2 to 2.25 inches tall (long) and ~ 1.5 to 1.75 inches wide (at widest point). 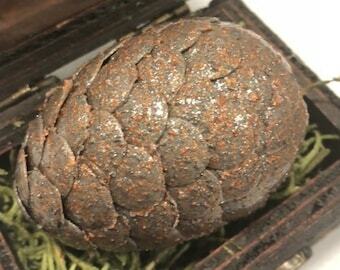 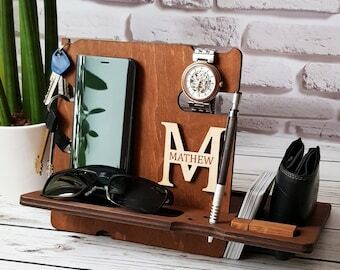 Box is made of wood with a bed of Spanish moss and measures 3 inches wide, 2.25 inches deep, and 2.25 inches tall.